FREE! Refreshments will be served! 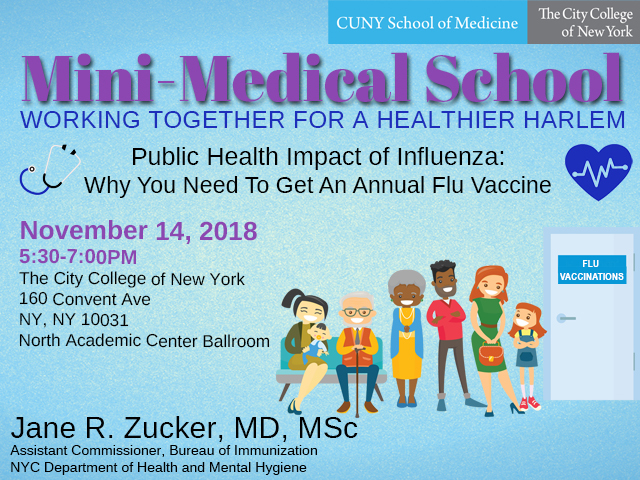 This session will cover Public Health Impact of Influenza: Why You Need To Get An Annual Flu Vaccine presented by Dr. Jane R. Zucker, Assistant Commissioner of the Bureau of Immunization at the NYC Department of Health and Mental Hygiene.